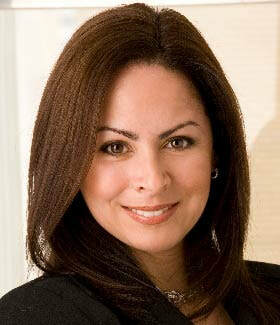 Irela Bagué is principal for Bagué Group a full-service consulting firm with over 20 years of experience in Florida with expertise in strategic communications in the water policy and resilience sectors. Ms. Bagué was appointed to the South Florida Water Management District Board by Governor Jeb Bush, where she held the position of Board Vice-Chair. Ms. Bagué was responsible for establishing policy in the areas of water resources development and regulation, flood control, water quality protection, and natural systems restoration. As a former state appointed official, Ms. Bagué has earned the respect of clients and policy makers alike. She is known for her in-depth understanding of the political process and for her critical insight and clear and straightforward communications style making her a credible and engaging spokesperson. She is a longtime advocate for Everglades and Biscayne Bay restoration, alternative water supply funding, climate change, sea level rise and ethnic diversity in the environmental movement. Ms. Bagué is current Chair of the Resilience Committee of the Greater Miami Chamber of Commerce and the Coral Gables Sustainability Advisory Board. She also serves on the boards of The CLEO Institute, Resilient Utility Coalition and Florida Water Advocates. ​Ms. Bagué is host of Resilient Forward a podcast promoting solutions to Florida’s most challenging environmental issues and she frequently contributes to the Sun-Sentinel’s South Florida 100 editorial section.